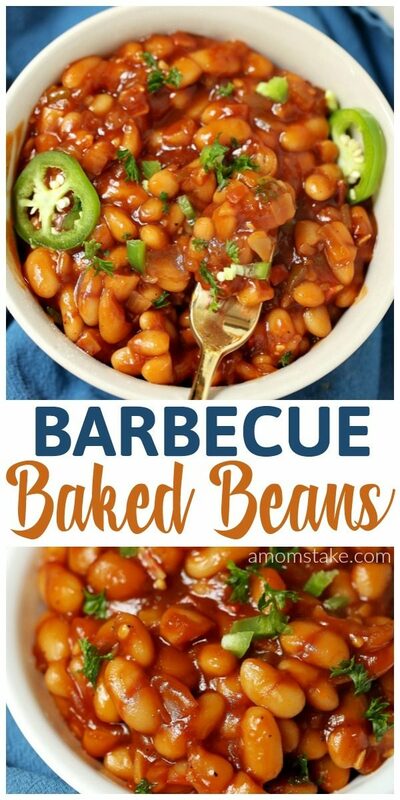 These amazing, fully loaded, baked beans will be the perfect side dishes for your summer gatherings and potlucks! 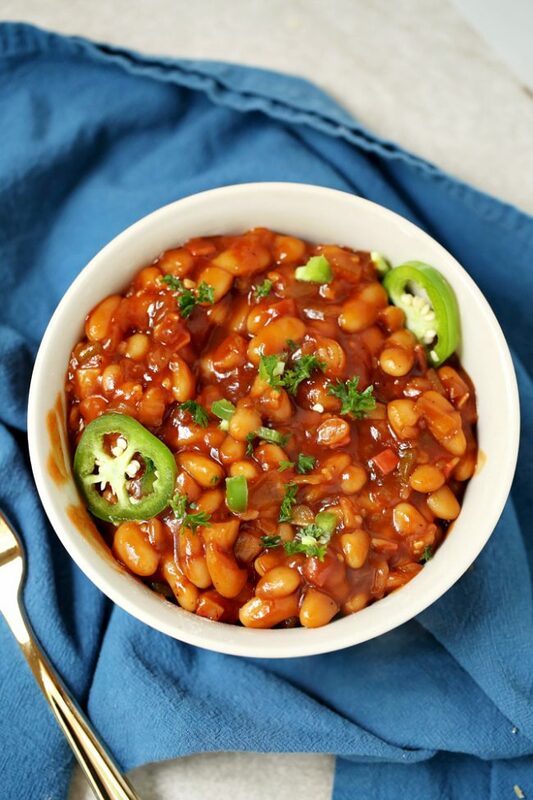 Barbecue baked beans with a kick of spice, if desired. 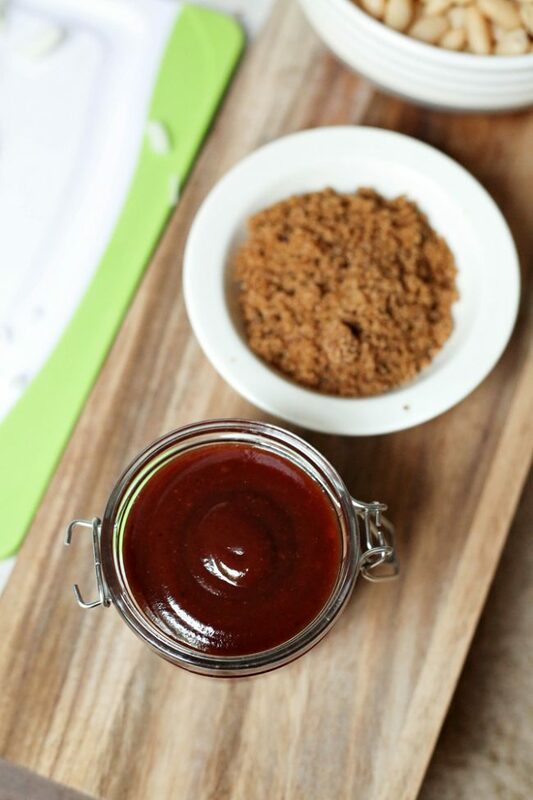 Easy to make including a homemade barbecue sauce recipe. 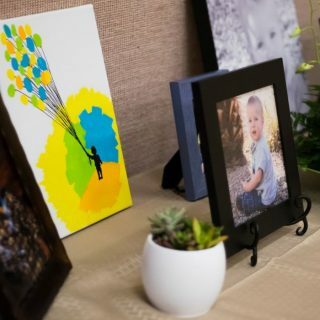 This post has two recipes in one! 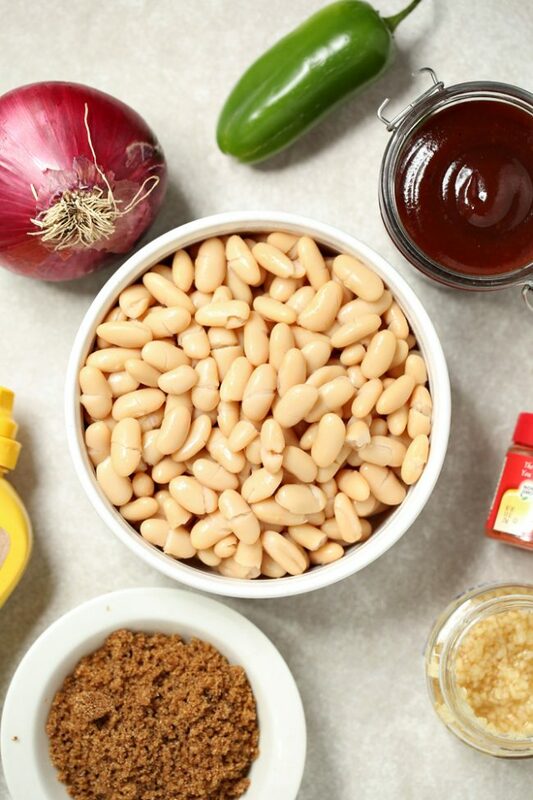 We’re going to show you how to make these flavorful and easy baked beans, and also a recipe for a homemade barbecue sauce, or use your own favorite recipe or premixed barbecue to finish up the recipe. Then, add all your ingredients into the slow cooker. Stir to combine. Cook on high heat setting for 4 hours, or on low for 6 hours, stirring occasionally. 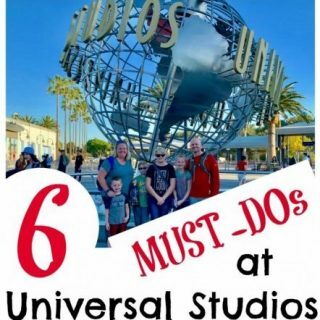 That’s it – eat and enjoy! You can optionally top with parsley and extra jalapeno, if desired. The green toppings really make the beans pop! Making the barbecue sauce is a cinch! Just blend everything together until a smooth consistency. It’s best to set your barbecue sauce aside for a day to allow the flavors to really combine before using. We just use an empty ketchup bottle for our homemade barbecue sauce. Be sure you write on the cap so no one accidentally adds barbecue when they were hoping for ketchup. Watch us make this yummy recipe in a quick 1-minute video demonstrating the steps! Combine all ingredients in a slow cooker sprayed with nonstick. Cook on high 4 hours, or low for 6 hours, stirring a few times throughout. Serve with extra jalapenos and a little parsley. To make, blend everything evenly. Let sit for one day for flavors to mesh before using. Loved this recipe? 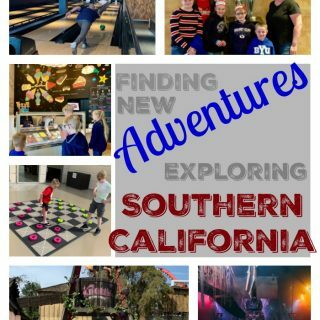 Pin it to save it for later! 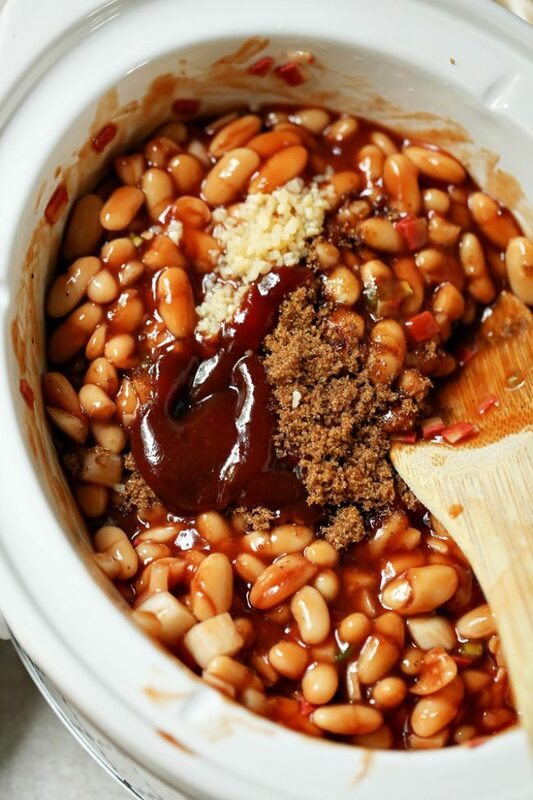 These crockpost barbecue baked beans look so good! And it’s just in time, because I was trying to figure out what to bring to a bbq cookout. Can’t wait to try this recipe. 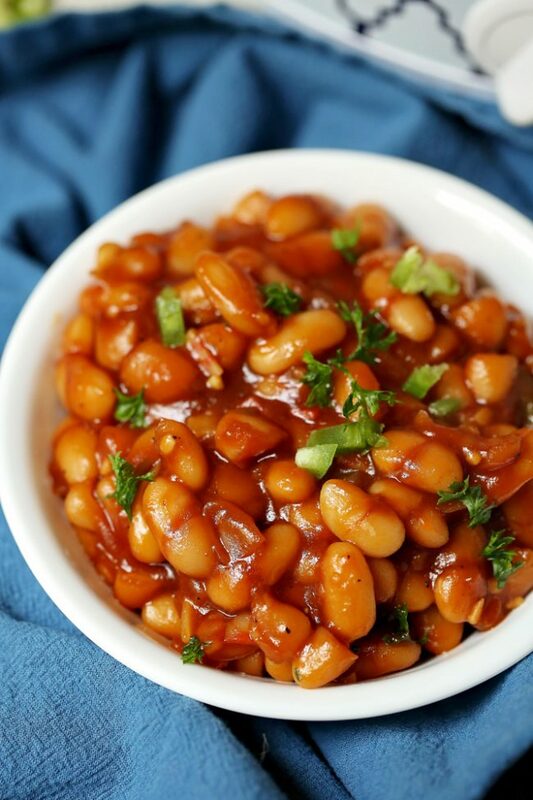 I love a great BBQ Bean recipe and the fact that it’s made in the Crock Pot gives it extra bonus points with me. I’ve never made my own BBQ sauce before so that sounds like fun. 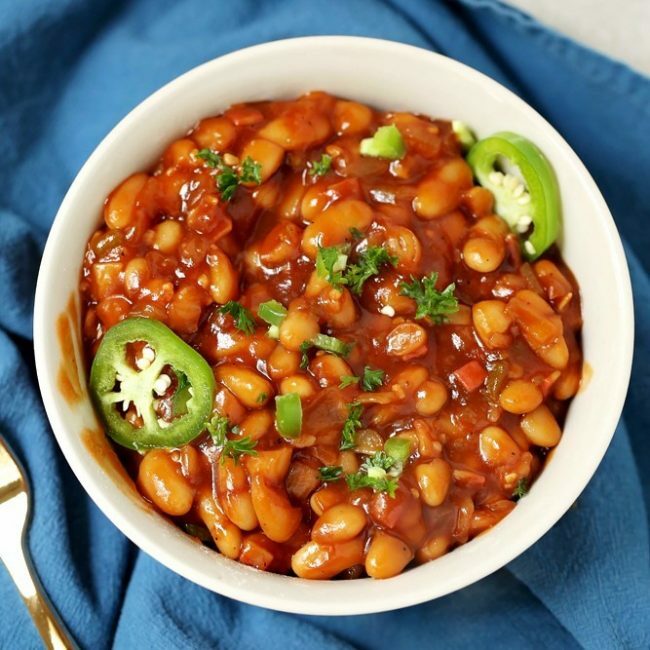 Barbecue baked beans are a staple during all of our summer gatherings and this recipe sounds fantastic! I love that you made it a point to include a touch of heat too. 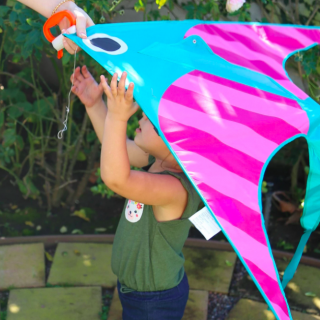 It has been so incredibly, uncomfortably warm this week. There’s no way I’m turning on my oven or even stove. But that doesn’t mean I don’t want yummy food. 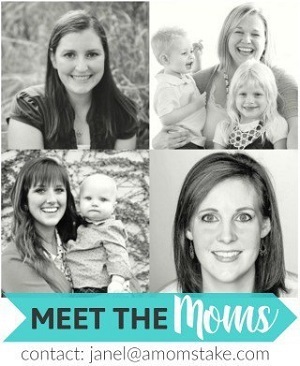 Crockpot to the rescue! Those baked beans sound awesome. 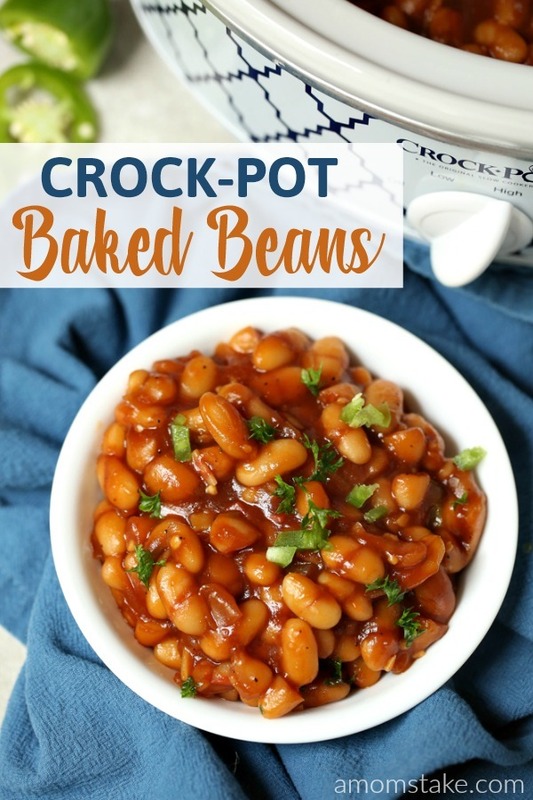 I love this crock pot baked beans recipe. What a lovely way to enjoy some beans, these are something that remind me of childhood. We had baked beans often as kids. Thanks for this easy to make recipe idea. I love the ingredients in this recipe – must make soon!